Last weekend, Conor McGregor and a handful of his cronies unleashed a ridiculous rampage in Brooklyn, New York—the host city for UFC 223. This rampage reached its violent crescendo when McGregor threw a hand truck threw the window of a shuttle bus carrying multiple UFC 223 fighters, injuring both Ray Borg and Michael Chiesa. It was a terrible scene, and UFC strawweight Michelle Waterson is worried what will happen if it goes unpunished. “What concerns me is if nothing happens to him so that he does change his ways, that a lot of the fighters will assume that that’s what they have to do in order to gain popularity, in order to gain fame, in order to gain financial stability,” Waterson said (h/t MMAFighting). “And I’m sure a lot of the fighters will have no problem reverting to those ways. “But the thing is, we’re trying to make this a professional sport and we’re trying to allow people to see us as humans and as martial artists, because it is mixed martial arts and a lot of us have that martial arts background, and we have the respect and the honor, and we should have the humility and control, right? 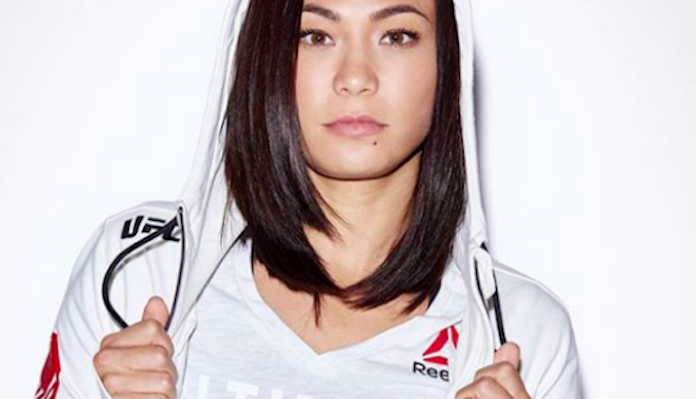 What do you think of Michelle Waterson’s take on the latest Conor McGregor drama?